Secret no more! is an inspiring collection of articles written by 45 successful entrepreneurs, leaders and innovators from across the globe. THE BOOK IS AVAILABLE IN ENGLISH ONLY. Young tech gurus, experienced top-level CEOs, leadership experts and social entrepreneurs come together to share their secrets about creating and scaling a startup, innovating within existing companies and leading with authenticity and passion. 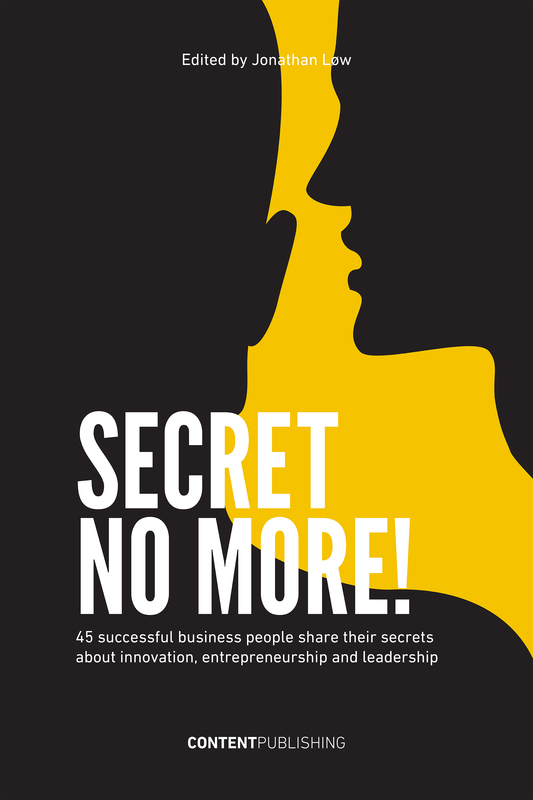 When 45 global entrepreneurs, leaders and innovators share their most important secrets and insights it can nothing but inspire to dare believe more, to dare act more and to dare fail more. These 45 entrepreneurs, leaders and innovators have truly failed a lot and they dare sharing their failures in the book. Some people might argue that once exposed, a secret loses all its power. The philosophy of this book is the opposite. We believe that if you have knowledge, let others light their candles in it. Tania Ellis // Do good and do well: Give while you grow! Morten Rongaard // The blockchain will completely disrupt your industry. Are you ready? The majority of the chapters in Secret no more! have been published previously in Danish in GURUBOGEN. 7 new chapters are included which have never been published in Danish or in English before.